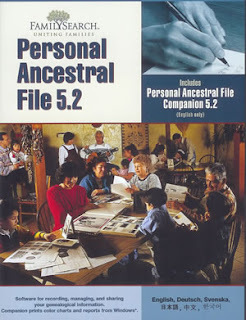 When I started researching into my family in 1994 I kept all my information in various notebooks and loose paper, drawing my family trees in the traditional way - using pen and paper. When I picked up the pace in doing genealogy after graduating from college in 2002 my database had grown so big that I started losing data written in random notepaper. Sometime in 2006 - 2007 I discovered the Family Tree Builder, which became the first genealogy software I used to record my data. Since then, I have gone through almost all available free and paid genealogy software. Today, with tens of thousands of names and data at my disposal I have actually discovered that there is no one perfect genealogy software. Sticking to one definitely does not make sense as there is always another program that has something that the one I'm using cannot do. So this post is a little review and a little advise I can give to those who are still starting out with researching their family histories. Of course, I can only talk about the software I am CURRENTLY using, as I see no point talking about those that I have already deleted from my system. NOTE: These are brief descriptions of the software I recommend. In future posts I will discuss their features more thoroughly. I stopped using this software sometime in 2008-2009 because at that time the version of the program could not support the weight of my database thus forcing me to switch to the PAF (see below). However, since 2013 I discovered that it had made many improvements to its system and could now do what I wanted it to do. I love that I can view both the names list and the selected person info in one screen without switching from one interface to another. I love the way it looks. I like it because it has a different field for the last name, therefore I don't need to do anything so it will know that a second name is not a surname like what I do with PAF. It has decent enough charts which are nice but a bit cumbersome to manipulate. It's best feature is its ability to give you a detailed explanation of how one person is related to another even if they are not blood relatives. CON:Still becomes a little slow sometimes but not as bad as before. Relationship tool is limited up to 2 relationships between people. This is a simple and FREE software from the Church of Jesus Christ of Latter-day Saints. I am nearing 100,000 names in one database and still haven't experienced any problems. This is an ideal program for simply storing your data. I found the interface a little cumbersome at first, as there is no separate fields to input or edit first and last names. Typing only the two Christian names of a person, typical in pre-1849 records, causes one some annoyance as the software would read the second name as the surname and store it as such unless you put two (//) after the second name to indicate a surname-less person. There is also no way to view all the names in one column and the highlighted person's infor or family view in another. Rather, one has to switch from the names list to family view to pedigree chart view. It does not have the ability to create charts for the user. What is available is a relationship calculator that allows one a quick look as to the relationship between two people. Unfortunately, it only calculates blood relatiohsips, so it has limits in that area, as well. However, its relationship calculator is still the most amazing I've seen so far. Consider this: it showed me how two people from my database were related to each other 18 times! The only other software to do this was RootsMagic, but it only gave me 9 relationships. If you like to generate reports and/or charts then you can use the PAF's companion software, called PAF Companion (discussed below). However, at the end of the day I have stuck to using this as my PRIMARY data-encoding and storage program because it boots up very quickly and again, at 100K names it still has a very fast processing speed. I simply export a GED file and open it in other programs if I need to do or have something that the PAF cannot give me. Also, I do have the option of opening more than 1 database at the same time so that is also a plus. PRO: Free, quick processing, can handle large data with no glitches. AMAZING relationship calculator. CON: Needs a companion software for charts and reports generation. Name field needs to be separated into first and last name to avoid confusion especially to first time users. The PAF Companion is a companion software for the Personal Ancestral File. It has a free version which can do as it is supposed to do but has some limitations, like most free versions. I upgraded to the paid version because it cost me only about P300.00 ($6.75). It has nice descendant and ancestor charts as well as other common reports such as kinship and ahnentafel, among other things. My only problem with is is that when generating a top-to-bottom descendants chart the program does not have an option to use an "m." to indicate that two people are married. To the amateur genealogist, the report would appear as though the wife is a descendant of the husband. Still, the fan charts are nice and you have the option to simply do a screen capture and have this saved as an image.I usually do this when I need to show someone a quick, rough drawing of his family tree. PRO: Nice enough charts and reports. CON: Charts cannot be adjusted or manipulated, so limited in control of output. P.S. According to the LDS website they have stopped supporting the PAF and have given instructions on how to continue trying out other software with similar features. Click here to learn more. To try the older version of PAF click here. So far this is the BEST software in terms of chart creation. One has almost complete control over the chart you want created, and if you make a mistake in the chart you can simply redo it quickly or just delete unwanted names with one click. It is also the ONLY software I have discovered so far that can give me an honest to goodness direct line tree, or in the program it is called a convergence chart. That means you can choose which of your ancestor is at the top, not just the usual display of all your ancestors. It also is the only software I know of that allows you to display all family trees in your databse regardless of relationship. I also find the interface easy enough to use after some trial and error. I use this only as a chart generator. You can use the full software for free for 30 days then it becomes a read-only program. However, purchasing the key for only $29.99 (or roughly P1,400.00) is worth the money if one is serious about generating family charts. This is another paid software though it has a free vesion called RootsMagic Essentials. The paid version has fairly easy to edit reports and charts, though I don't use it for reports generation other that its ability to give me a nice and editable relationship chart between two people. Its relationship calculator also gives you more than one blood relationship and it gives you the option to save these relationships in word file, which is great. One other report I love about it is its ability to give you just about every list possible. I especially love its "Surname Report" which can show me the frequency of the surname and its earliest (or latest) appearance in my database. Free to use software with the strangest interface. However, its ability to give you graphical charts of Lifespan, Number of Children, Months of Marriage, etc. does make up for its unsightly interface. Definitely worth keeping. 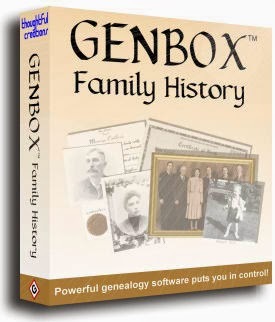 This isn't exactly a genealogy software, but this is one of the most useful companion to any genealogy software you're using. At some point, you might want to have a database of your records in word or excel format. I tried using the reports function in Family Tree Maker (I have this overrated program but rarely use it) to generate it but, to no avail. Finally I saw a forum online which discussed the same issue I had and I found the answer - GEDxlate. What this small but amazing program does is import your GED file and cough up an Microsoft Excel or CSV or Database or Word file of everyone in your system. Best of all, you can generate as mcuh information or as little (only the names and their birthday, for example). This then allows you to have your database in another format which also then allows you to, for instance, create graphs and such in Excel.